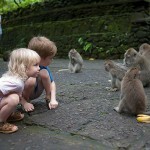 Bali is an amazing destination for a family holiday. There is no shortage of activities to entertain the kids. Of course there are plenty of options that don’t cost anything, from walks through the rice paddies to building sandcastles at the beach, but here is a rundown of our pick of the island’s best activities and attractions that will keep your little ones happy before you choose where to go spending your hard earned cash! 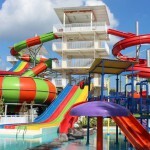 Asia’s number one waterpark is here in Bali! When things get too hot and the kids get a bit cranky in the heat, this is the place to bring them to cool down and keep the whole family happy. Whether you want to relax, eat and drink or enjoy all the rides, there is something for everyone. There is even a lazy river to relax in if you wear yourself out on the more heart-stopping rides! 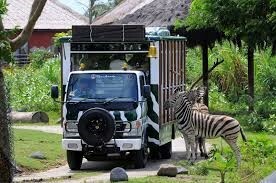 Bali Safari & Marine Park boasts an incredible array of over 60 species of animals from small to tall and cute to ugly and even some critically endangered species, so be sure to add this to your holiday itinerary. The animals are kept in sanctuaries that mimic their natural habitats. Far from being just a recreational park it is a pioneer for conservation in Asia. 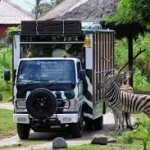 There are options to suit all families and budgets from looking at the animals from a safari tram, to a night safari or elephant back rides. 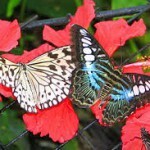 Your little ones will think this butterfly park is a fairy garden. With some flying freely and others for you to hold and photograph, there is fun to be had for all. 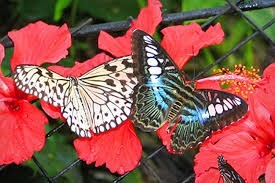 Think tropical gardens, blooms, little bridges and fluttering butterflies. You could even combine a visit here with a trip to nearby hot springs and Tanah Lot Temple for sunset on the way home. 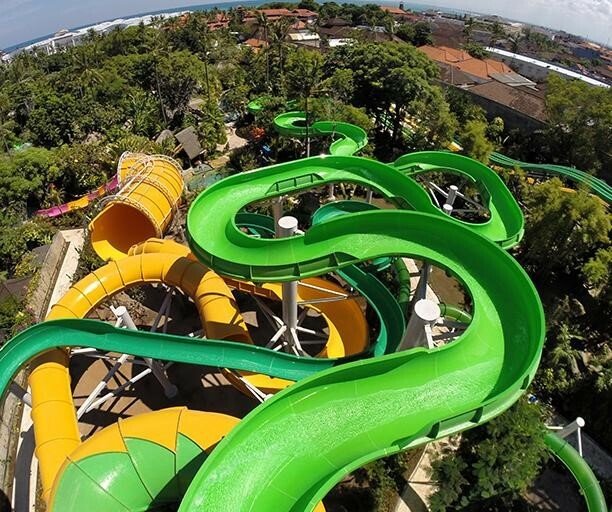 This is Bali’s newest waterpark. 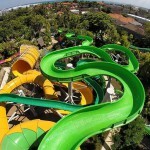 A great spot to beat the heat with the whole family, this smaller waterpark has plenty of slides to spend the day whizzing down. Bigger kids will enjoy the 5-storey ride The Giant Race, and the smaller ones can enjoy a smaller version called the Speed Racer or the Splash Playground or Mini Lagoon. For a little bit more than the cost of a day pass, you can upgrade and use Bounce trampoline center and Strike bowling facilities. 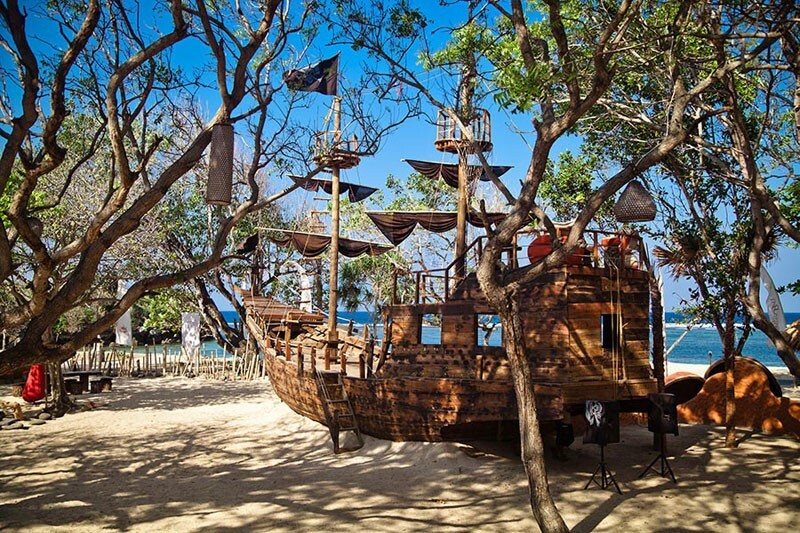 Pirates Bay Bali is a pirate themed open-air café and restaurant, complete with a life-size wooden ship, a collection of tree houses filled with cushions and dining tables, and a bay lookout tower. There are treasure hunt activities for the whole family to participate in and even a flying fox, rope walks and swinging bridges. 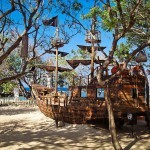 You can even rent pirates costumes to really get in the mood! This might be an activity that normally only mum indulges in back home, but with the cost of having a mani/pedi being so low here in Bali you can make your little girls or teenage daughters feel like a princess and have some bonding time with mum too! Being somewhat of a Mecca for surfers there is no better place to take a surf lesson than Bali. 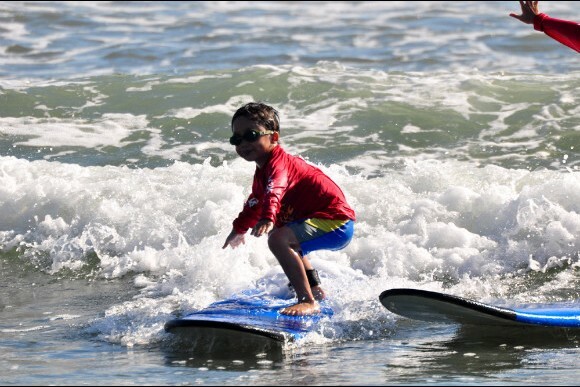 There are plenty of surf schools offering lessons for big and little kids (from 5 +) alike but we can certainly recommend Rip Curl School of Surf with surfing lessons for kids at three locations (Legian, Jimbaran and Sanur). Before hitting the waves the students are equipped with rash vests, board shorts and a surf helmet to keep them safe. Most lessons are about 2.5 hours. 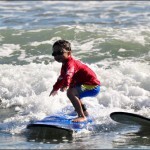 Your little ones will be exhausted but happy after a day in the waves! Why not add horse-riding to your list of activities to do with the kids while in Bali. There are several riding schools but our favorite is the Bali Equestrian Centre in Canggu. 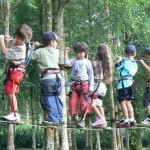 Suitable for children aged 3 and up we are sure your kids will have a great time here. Pony rides for the really little ones, grooming the ponies after they ride, group and private lessons, and even a pool to swim in and restaurant for mum and dad to enjoy a glass or two of wine at. 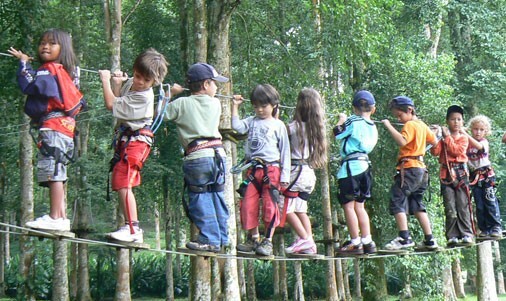 Set in Bedugul’s Botanical Gardens, Bali Treetop Adventure Park is the ultimate place for your little ones (and not so little ones) to swing through the trees like Tarzan! There are 6 main circuits stretching from tree to tree, of varying levels of difficulty. Circuits are adapted for adults and children starting from 4 years of age. Be sure to combine a trip here with a walk round the gardens and some recreational activities at Beratan Lake. 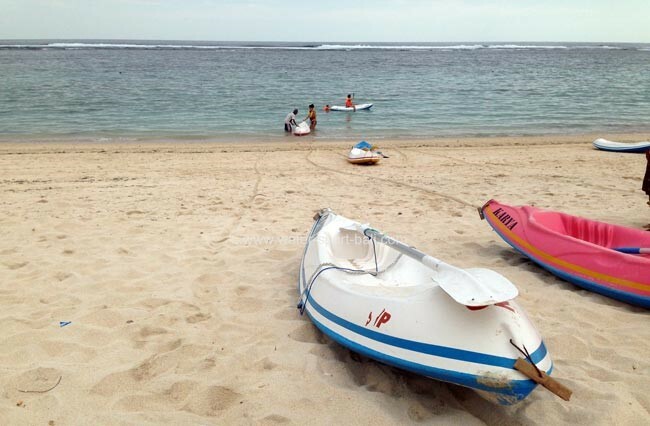 With Sanur’s waters being amongst some of the safest in Bali it really is a great spot to enjoy a beach day. Canoes are stacked up for hire on the beach for the whole family to enjoy. 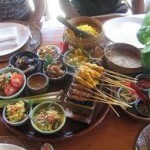 There are plenty of restaurants and cafes along the beach too and a real family atmosphere. Swim, canoe, build sandcastles, eat and watch the sunset. This safe and secure day care facility for 2- 12 year old means parents can enjoy some quality time by themselves, safe in the knowledge that their kids are being well looked after. 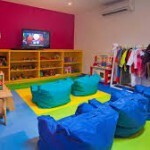 It is a stimulating environment with age appropriate activities for all the kids. 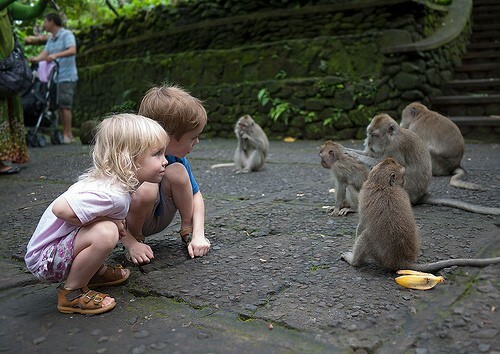 You’ll think your little monkeys are angels after seeing the monkeys here monkeying around. With over 600 Balinese long tailed macaques in the forest and just a $2 entrance fee we think that’s a bargain. Your little ones will love feeding these cheeky monkeys bananas. Make sure your teeny tots watch from a safe distance. By going on a glass-bottomed boat tour you can enjoy Bali’s beautiful coral reefs and marine life and not even get wet at all. Even your tiny tots can enjoy looking at the tropical fish from the safety of the boat. 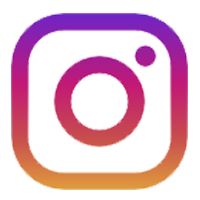 You can take photos and even feed the fish. 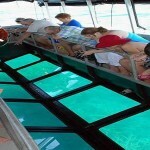 Tanjung Benoa is a great place to try one of these glass-bottomed boat tours. A great way to get your kids to try some of the local food is to get them to make it! You’ll even be taken to the market to shop for the ingredients before learning how to cook popular dishes. You’ll return home with a certificate to prove your master chef abilities! 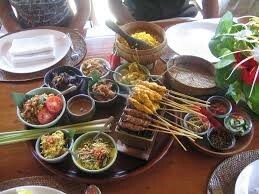 Bumbu Bali is one of our favorite cooking schools but there are lots of options around the Ubud area. Anyone aged nine to 70 can enjoy Bali’s vibrant marine life, getting up close to fish and the reef, all in a safe environment. You don’t even need to be able to swim and you won’t get your hair wet! 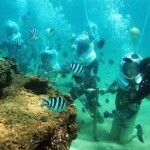 Seawalker tours use special helmets and body weights to sink you to the ocean floor so you can walk around and see Bali’s amazing marine life. 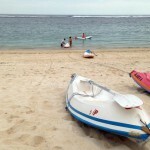 There are options in Sanur and Nusa Dua.